1. How do you say weather in Spanish? 2. How do you say seasons Spanish? 3. How do you say winter in Spanish? 4. How do you say summer in Spanish? 5. How do you say autumn in Spanish? 6. How do you say spring in Spanish? 7. What is the word for rain in Spanish? 8. What is the word for sun in Spanish? 9. What is the word for wind in Spanish? 10. What is the word for snow in Spanish? 11. How do you say 'it's foggy' in Spanish? 12. How do you say 'it's cloudy' in Spanish? 13. How do you say 'it's raining' in Spanish? 14. How do you say 'it's snowing' in Spanish? 15. How do you say 'it's misty' in Spanish? 16. How do you say 'it's sunny' in Spanish? 17. How do you say 'it's windy' in Spanish? 18. How do you say 'it's clear' in Spanish? 19. How do you say 'it's warm' in Spanish? 20. How do you say 'it's cool' in Spanish? 21. How do you say 'there are low temperatures' in Spanish? 22. How do you say 'there are high temperatures' in Spanish? 23. 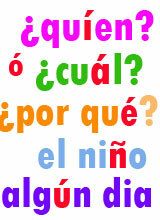 How do you say 'what's the weather like' in Spanish? 24. How do you say 'it's very cold' in Spanish? 25. How do you say 'it's quite hot' in Spanish?